Indian producer Om Prakash Dhanuka says the world sugar remains trapped in a long-term bear market with prices down by 25% from one-year high in October 2013. To add to the pressure of an oversupplied market, the Indian government announced on 15 January that it would offer a package of WTO complaint incentives for export of up to 4mt of sugar over two years. No sooner did the Indian announcement come than raw sugar prices on New York’s Intercontinental Exchange (ICE) tumbled to their lowest since June 2010. Losses could not be staunched since on news of likely expanded supplies from Brazil and Thailand, the world’s two leading exporters of sugar, to now on now off exporter India. The March raw price has breached the psychologically important price of 15 cents a pound. Besides taking count of inventories in growing regions of the world, traders pick up cue from crop forecasts in Brazil, the world’s biggest producer and exporter and other nations and the likely global demand growth. According to the Brazilian sugar industry association UNICA, factories in the South American country had processed 594.1mt of cane till 1 January, up 12% from a year earlier. Sugar production, which depends on sucrose recovery rate from cane, however, had marginally risen to 34.3mt. The cane crop in Thailand is bigger than last time. The monsoon, having behaved well and then followed by spells of dry weather, facilitated cane drying and early harvesting of Thai cane. Local millers and trade officials are, however, keeping their fingers crossed that the political turmoil does not interfere with harvesting operation and despatch of sugar to foreign destinations. India is the world’s second-largest producer of sugar. With the country having a large domestic market for the commodity — local consumption last year was an estimated 22.8mt — New Delhi would allow export only when warehouses and silos are left with no space to keep any more sugar and prices prove “extremely hurtful for factories,” says Dhanuka. season ended October 2013 and there is still no remission in the pains of factories unable to recover production cost from prevailing market prices of the sweetener. This is in spite of white sugar in Bombay being about $40 a tonne more expensive than rates quoting on NYSE Liffe in London. No wonder, government officials recognise there is no way factories will be able to sell sugar in the world market without “subsidy to recompense us,” according to Dhanuka. Explaining the fundamental reason why sugar factories in the country “continue to move deeper and deeper in the red” irrespective of their daily cane crushing capacity, operational efficiency and processing of cane with rates of sugar recovery varying from 9% in Bihar to 11.5% in Maharashtra, Dhanuka says “the devil is in the lack of linkage between cane price and sugar price.” As it obtains in India, the federal government will every year fix the ‘fair and remunerative’ prices (FRPs) of cane. But state governments in order to pander to cane growers coming in millions will demand of factories to pay them ‘statutory minimum prices [SMP],’ commanding high premiums over FRPs. “Herein lies the problem. We opened the current season in October with inventories of nearly 9mt. The standing crop makes it certain that 2013/14 will be the fourth year in a row that India will have bumper sugar production of around 25mt against 25.14mt last time. In this situation, there is no way the high cane prices we are required to pay can be recovered by selling sugar in a depressed market,” argues Dhanuka. Therefore, at one point last season, unpaid cane bills of factories rose to $1.5 billion causing a great degree of rural unrest. The situation left New Delhi with no option but to offer factories interest free loan to clear cane dues. A high powered commission headed by Dr C Rangarajan, chairman of the Economic Advisory Council to the prime minister, has said in a report that the Indian sugar industry could be put on an even keel provided a linkage is established between prices of cane and sugar. The commission suggestion is, there should be value sharing of sugar and its primary by-products such as bagasse, molasses and press mud between farmers and factories in a 70:30 ratio. In fact, the value sharing formula is the reason why the viability of the industry has not been compromised in many other countries in a bear market. 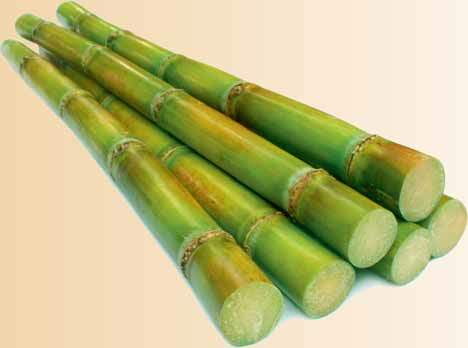 At the same time like Brazil, the Indian sugar industry should start making ethanol directly from cane whenever a big cane crop will be posing a threat of market inundation of sugar. In the meantime, according to a Reuters report quoting analyst Green Pool, Chinese cane plantation having suffered heavy rains and frost in spells in November and December, there is scaling down of the country’s sugar output for 2013/14 to 13.1mt from the earlier estimate of 13.3mt. This means production will remain virtually unchanged from 2012-13.A further downside in Chinese production is not ruled out, since sugar content in weather beaten crop might have taken a hit.